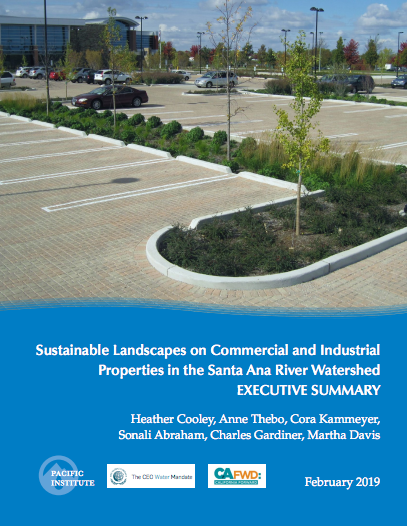 Opportunities for the Business Community to Support Urban Climate Chance Resilience – The study finds that there are significant opportunities for the business community in California’s Santa Ana River Watershed to contribute to shared watershed goals through investments in sustainable landscape practices on their properties. These landscapes can improve surface water quality, flood management, and water supply reliability, while also reducing energy usage and associated greenhouse gas emissions, sequestering carbon, improving ecosystem and human health, promoting economic activity, and enhancing community resilience. This project is a collaboration between the Pacific Institute, California Forward, and the Santa Ana Watershed Project Authority. 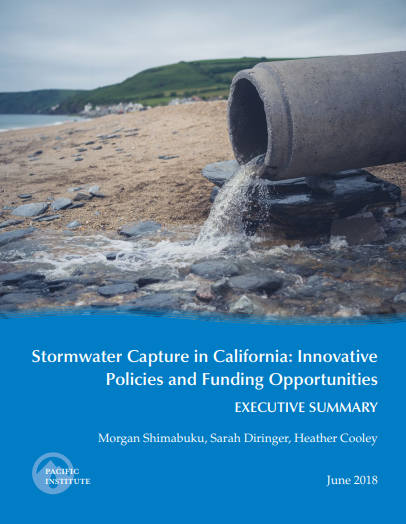 Stormwater Capture in California: Innovative Policies and Funding Opportunities – This report presents a summary of regulations, laws, and statewide initiatives that create the legal framework for stormwater capture in California. 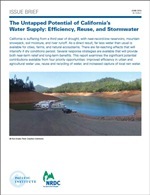 In addition, the report explores examples of successful stormwater programs, initiatives, and funding schemes from communities in California and beyond that directly and indirectly support stormwater capture and use. It concludes with a set of recommendations to overcome obstacles and expand stormwater capture in the state. 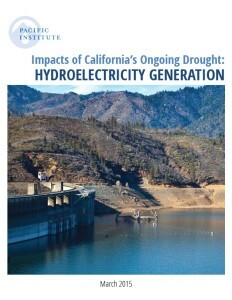 Impacts of California’s Five-Year (2012-2016) Drought on Hydroelectricity Generation – This comprehensive assessment of the costs to California of lost hydroelectricity during the five-year California drought (from October 2011 to the end of September 2016; the official California “water year” runs from October 1 to September 30) reveals an increase in electricity costs of approximately $2.45 billion, as well as a 10 percent increase in the release of carbon dioxide from California power plants due to the additional combustion of fossil fuels for electricity generation. Drought and Equity in California – This report finds that low-income families, communities burdened with environmental pollution, and those dependent on salmon for their livelihood and traditions are highly vulnerable to problems of water supply shortages, rising unaffordability, and insufficient stream flows during drought. The report offers a range of solutions, from changing the way drought water surcharges are calculated to consolidating small water systems. 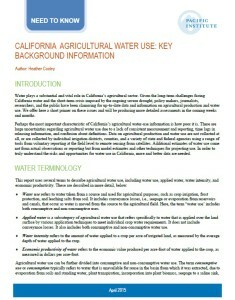 California Agricultural Water Use: Key Background Information– This brief provides essential background information on the state’s agricultural water use. The brief estimates total water use for crops grown in California, the water intensity of those crops, and the economic productivity of water. 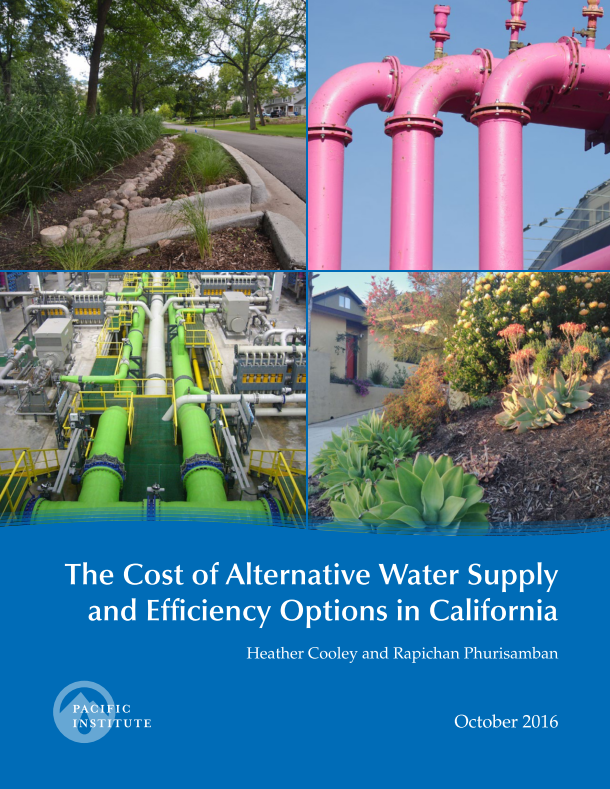 The Cost of Alternative Water Supply and Efficiency Options in California – This study is the first comparative analysis of the costs of alternative water supply and efficiency options in drought-stricken California, from seawater desalination to recycled water and water efficiency measures. 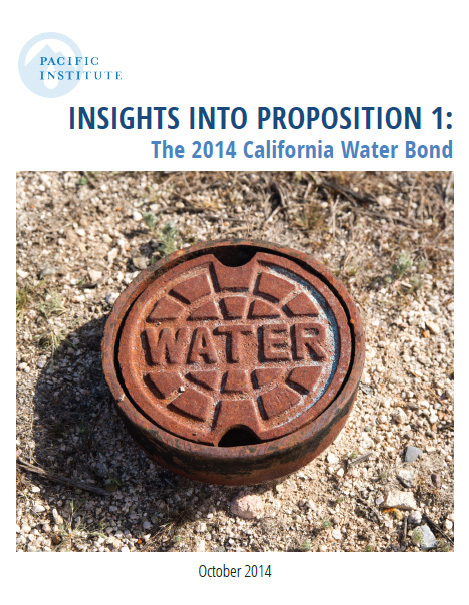 The report will help communities prioritize cost-effective water solutions. 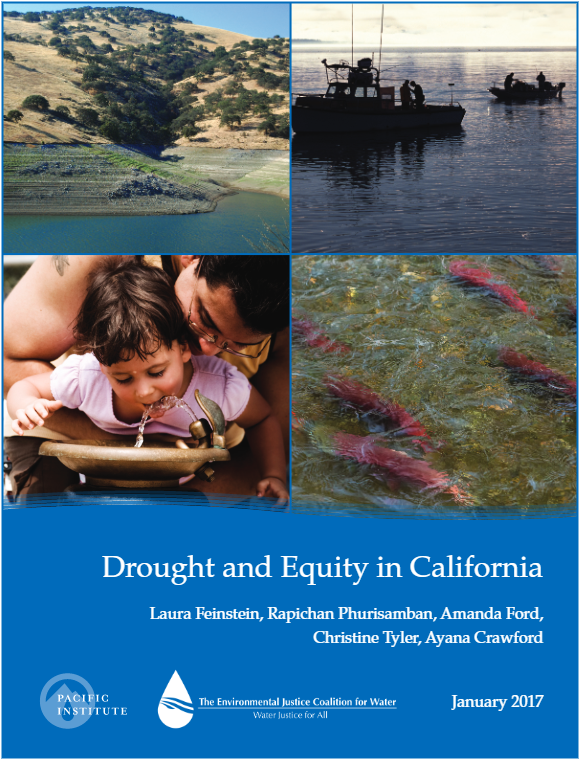 Drought and Equity in the San Francisco Bay Area – This study examines the impacts of the California drought on disadvantaged communities in the San Francisco Bay Area, and finds that affordability issues and water infrastructure conditions are key concerns for these communities, as well as the inequitable use of water. 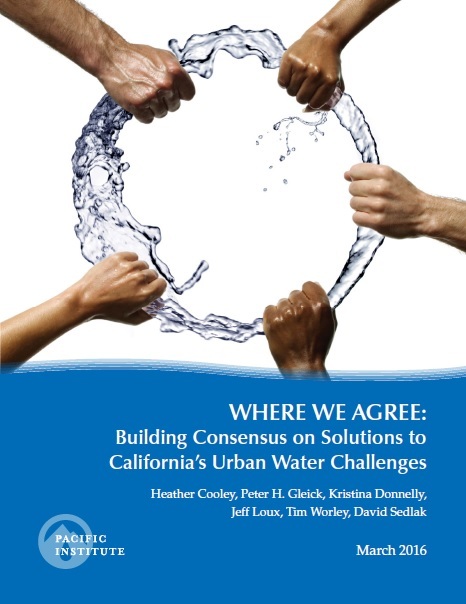 Where We Agree: Building Consensus on Solutions to California’s Urban Water Challenges– This report documents practical solutions for California’s urban water challenges put forth by a diverse group of stakeholders. The results are a set of recommendations for policymakers, municipal water managers, businesses, and community groups with the potential for broad support. 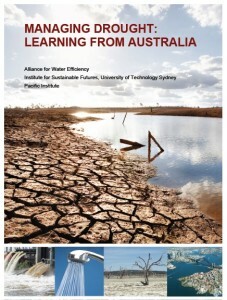 Managing Drought: Learning from Australia – This report shows that strategies developed and mistakes made during Australia’s decade-long millennium drought provide a powerful resource for California, as the state enters its fifth year of severe drought. 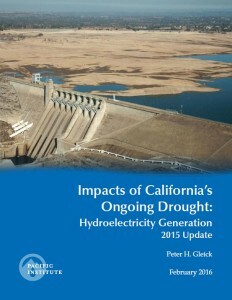 Impacts of California’s Ongoing Drought: Hydroelectricity Generation 2015 Update – This update to the 2015 report includes a comprehensive assessment of the costs to California of lost hydroelectricity during the four years of drought from October 2011 to the end of September 2015 (the official California “water year” runs from October 1 to September 30). 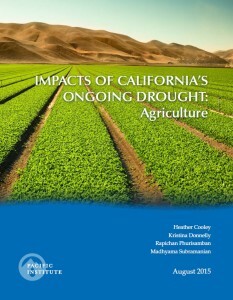 Impacts of California’s Ongoing Drought: Agriculture– This study is the first comprehensive analysis of the actual impacts of the drought on California agricultural revenue and employment through 2014 – the last year for which data are available. 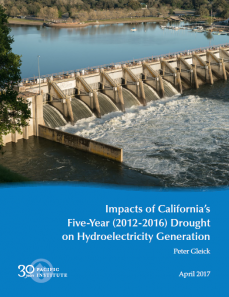 Impacts of California’s Ongoing Drought: Hydroelectricity Generation– This report that reveals that diminished river flows have resulted in less hydroelectricity, more expensive electricity, and increased production of greenhouse gas emissions. 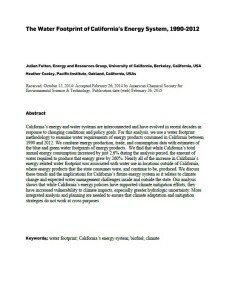 The Water Foot print of California’s Energy System, 1990–2012 – This article by Julian Fulton and Heather Cooley evaluates the amount of water consumed in meeting California’s energy needs – also referred to as the water footprint of energy. The article examines how the water footprint of energy changed between 1990 and 2012 – finding that the amount of water consumed substantially increased over recent decades without utilizing more of the state’s water resources, but rather by relying more heavily on water resources from outside the state. Read more here. 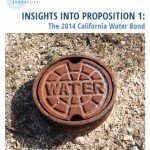 Insights into Proposition 1: The 2014 California Water Bond – With the state facing serious and deepening water challenges, voters on November 4th will be asked whether to approve Proposition 1, the Water Quality, Supply and Infrastructure Improvement Act of 2014. The report explains how funds would be allocated, including how the water storage funds may be divided among competing projects. Read the executive summary here. 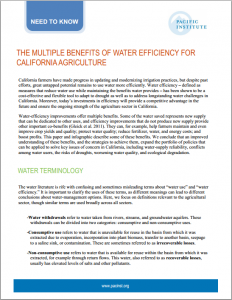 The Multiple Benefits of Water Efficiency for California Agriculture – Water-efficiency strategies provide important benefits to farmers, ecosystems, and society. The most compelling reasons for farmers to seek reductions in total water withdrawals include maintaining and even improving crop yields and quality; protecting water quality; reducing fertilizer, water, and energy costs; and boosting profits. 2014 Drought Briefs: The Untapped Potential of California’s Water Supply: Agriculture, Urban, Stormwater, and Water Reuse – California could be saving up to 14 million acre-feet of untapped water – providing more than the amount of water used in all of California’s cities in one year – with an aggressive statewide effort to use water-saving practices, reuse water, and capture lost stormwater. Find the reports, infographic, and factsheets <here. Impacts of the California Drought from 2007 to 2009: Surprising Outcomes for California’s Agriculture, Energy, and Environment – Analysis of state and federal data finds that contrary to much of the media reporting, California’s agricultural community proved flexible and resilient, generating agricultural revenues in 2007, 2008, and 2009 that were the highest on record. 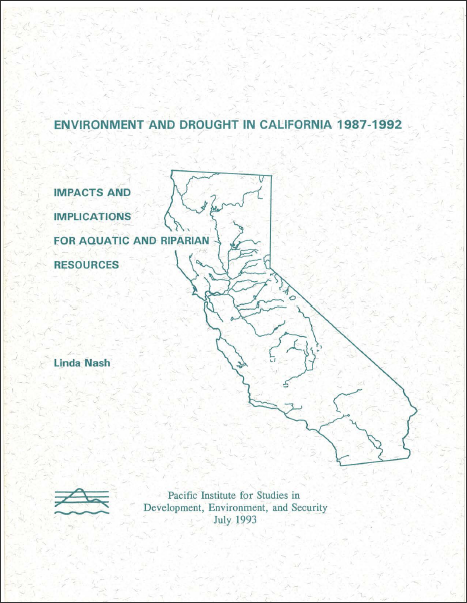 Environment and Drought in California 1987-1992 – Highly modified ecosystems like so many in California are more likely to suffer permanent changes during extended dry periods. Although California’s plant and animal populations have weathered severe droughts in the past, there are factors now that prevent wild populations from rebounding as they once might have. 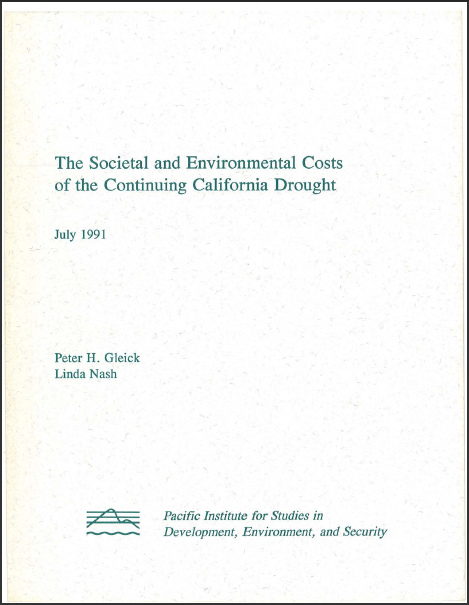 The Social and Environmental Costs of the Continuing California Drought (1991) – This report examines the information available in 1991 for a wide variety of sectors on the impacts and economic costs of the California drought that began in 1987. 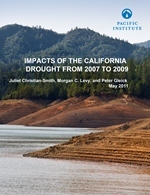 The assessment includes what the current drought at that time was telling us about California’s vulnerability to global climate change. 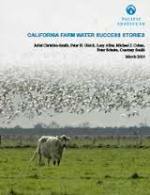 California Farm Water Success Stories – This series of case studies and interviews documents how agricultural water stewardship practices are at work on-the-ground, at the farm and irrigation district level. They are finding innovative ways to protect water quantity and quality, saving energy and money, augmenting stream flows, and storing water for inevitable drought periods. 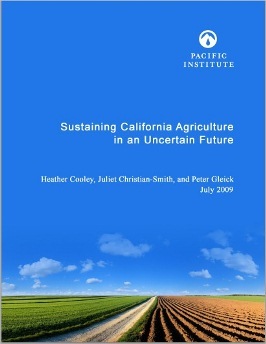 Sustaining California Agriculture in an Uncertain Future – California agriculture, which uses about 80% of California’s developed water supply, can flourish despite diminishing water supply and future uncertainty from climate change, by increasing the water efficiency of the agricultural sector by expanding the use of efficient irrigation technologies and management practices. 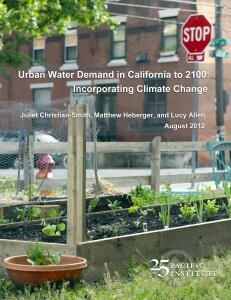 Urban Water Demand in California to 2100: Incorporating Climate Change – Urban water use – residential plus commercial, industrial, and institutional uses – accounts for over 20% of the water use in California, and up to half of urban water use is outdoors. Climate change alone could increase urban water demand in 2100 by 8% percent, under a medium-high greenhouse gas emissions scenario. 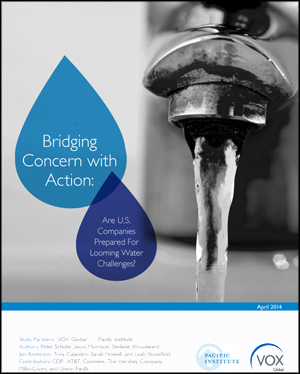 Bridging Concern with Action: Are U.S. Companies Prepared for Looming Water Challenges? – This survey of major U.S. corporations reveals that most companies believe water challenges will significantly worsen in the next five years. However, the majority of companies surveyed do not appear to be planning corollary increases in the breadth and scale of their water risk management practices. View a full list of all Pacific Institute publications here, and search by topic here.